Can’t You Read Dutch? | Normative Signs: The Poetry of "Ought"
I’m generally sticking to normative signs in English, but I’m making an exception here because the picture is both funny and lovely. 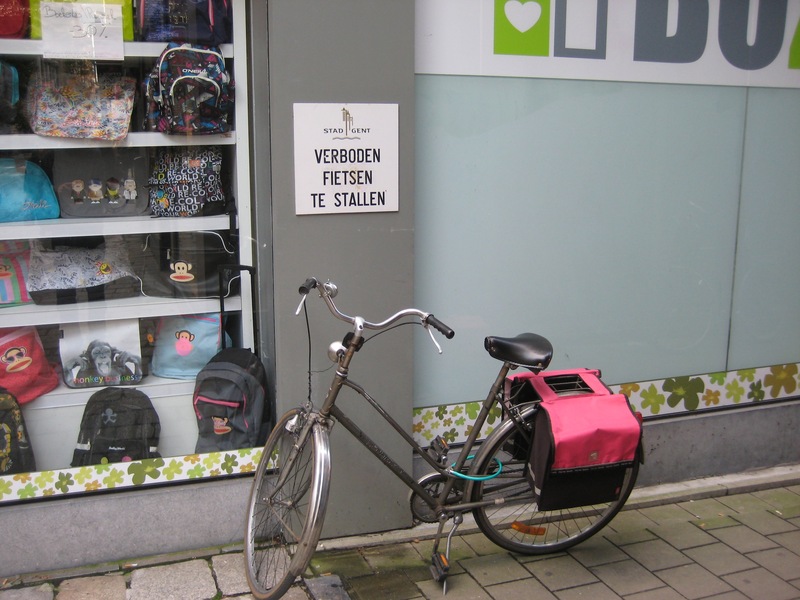 The sign is in Dutch, and it says, roughly, “Bicycle parking prohibited” or, more literally, “Placing your bicycle is prohibited” or “Storing your bicycle is prohibited”. I wonder if parking temporarily counts? The picture was taken in Ghent, and contributed by Jeffery Smith.